Mitt Romney's declaration that corporations are people. 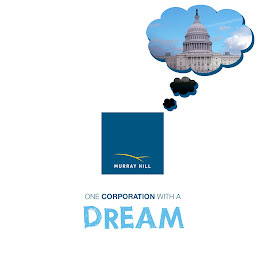 WASHINGTON--Murray Hill Inc., the Maryland corporation that rocked the political establishment with its 2010 campaign for Congress, announces its support for Mitt Romney's public statement in support of corporate civil rights. "While our position is that people get in the way of politics, Murray Hill Inc. greatly appreciates a bodied person candidate willing to speak the truth to the American People--that the Supreme Court says corporations are people too! Mitt Romney, a major party candidate who received a significant anonymous corporate contribution, was brave enough to publcly agree with corporate personhood and our right to give large, unchecked donations to the political process. When corporate civil rights history is written years from now, content providers will point to this moment as a significant turning point in U.S. Politics." Murray Hill Inc. is the first corporation in U.S. history to run for Congress, following the Supreme Court's Citizens' United ruling. The campaign garnered national and international publicity, including a front-page story in the Washington Post, segments and interviews on NPR, BBC, CBS and numerous national and local radio broadcasts. Complete review of our coverage is at our blog. Our Facebook page reached nearly 15,000 likes and our initial campaign video has nearly a quarter-million hits on YouTube. The spot can be seen here. Murray Hill Designated Human Eric Hensal is available for further comment on this story and related topics at 202-262-9152. Romney Agrees! Corporations are People Too! Follow this link to the NY Times blog that covers this historic day--a presidential candidate says corporations are people too! Mitt Agrees! Says Corporations are People too at Iowa rally! Murray Hill Inc. will have more to say tomorrow. Thanks to the great work of our Hired Gun Campaign Manager William Klein, Murray Hill has an Op-Ed on Politico.